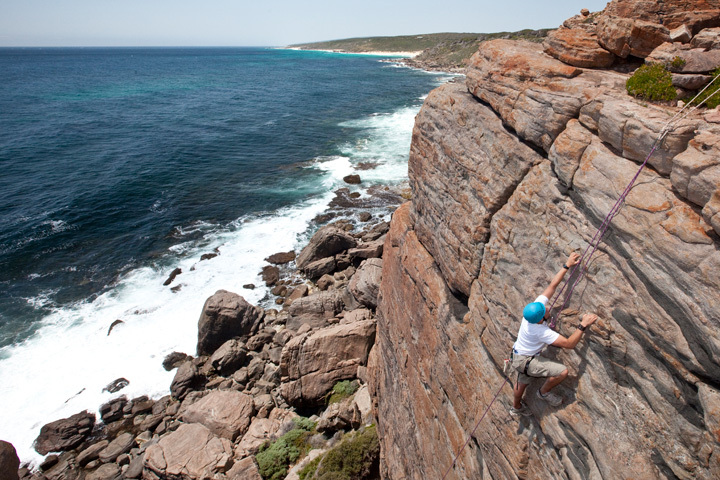 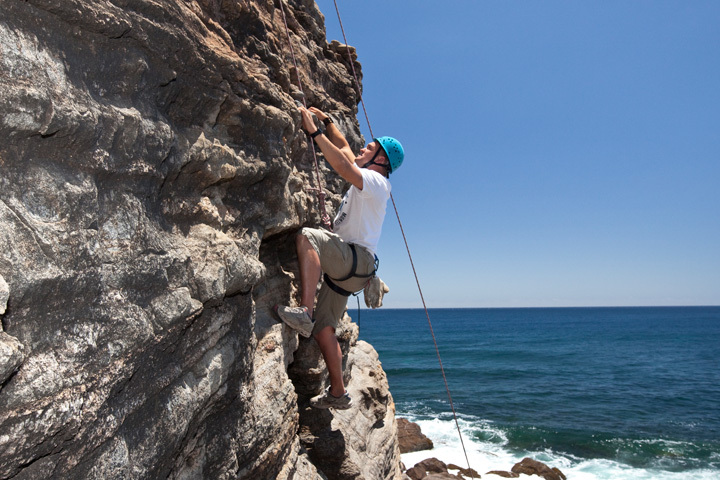 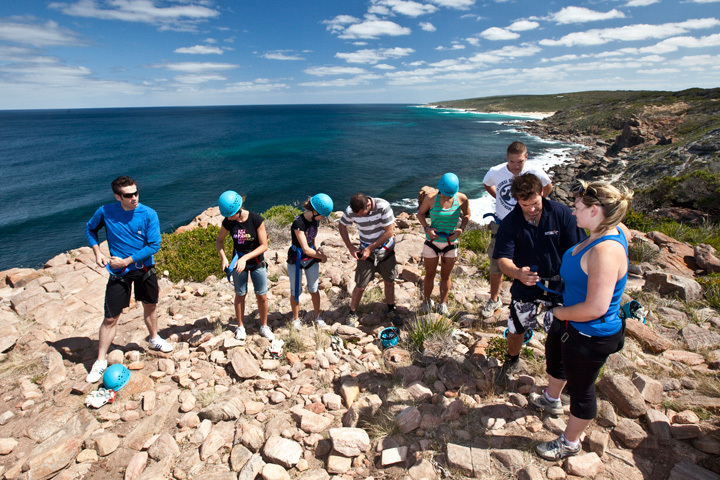 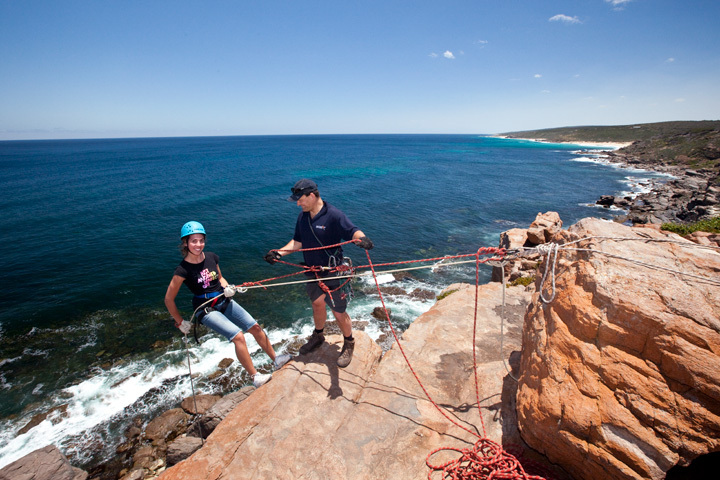 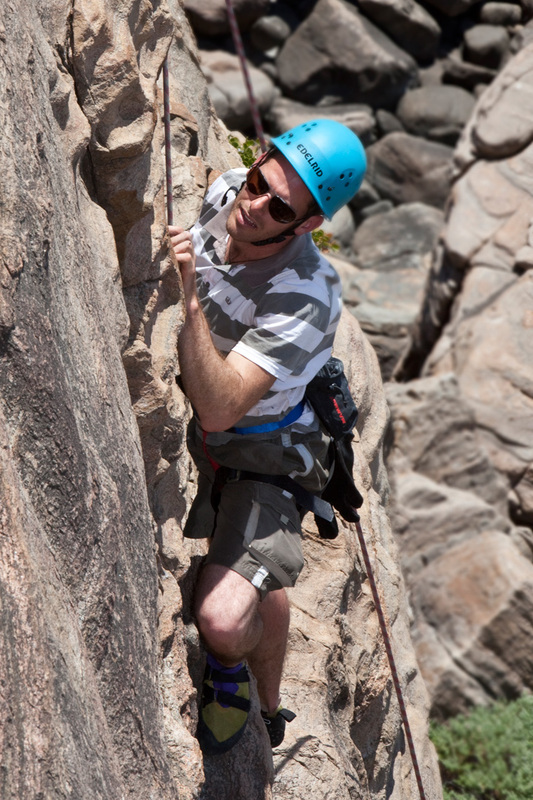 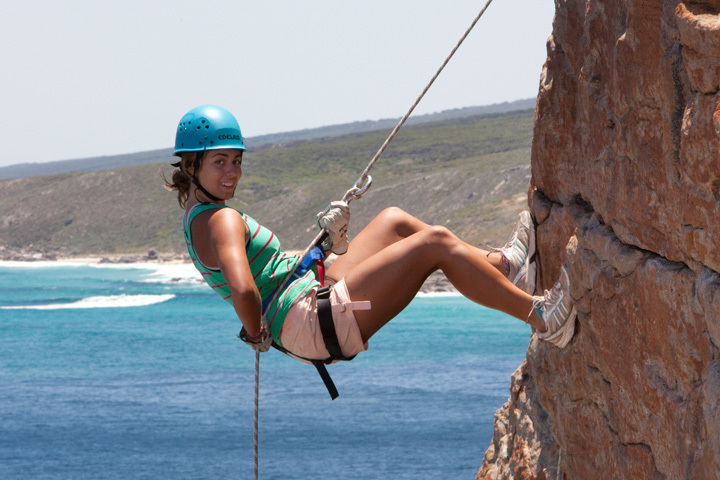 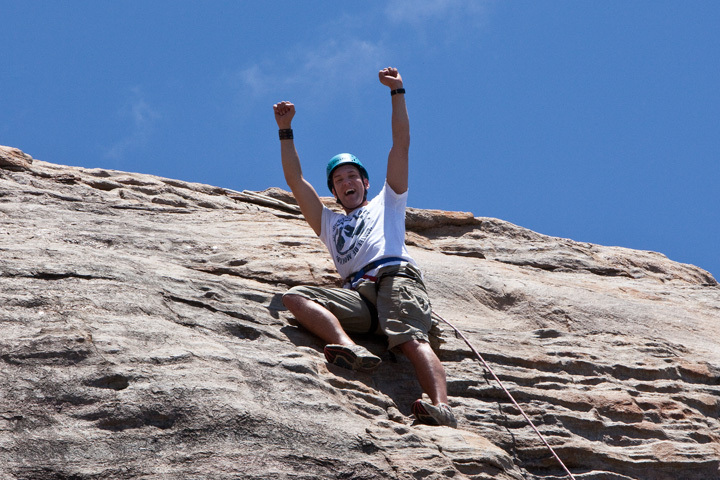 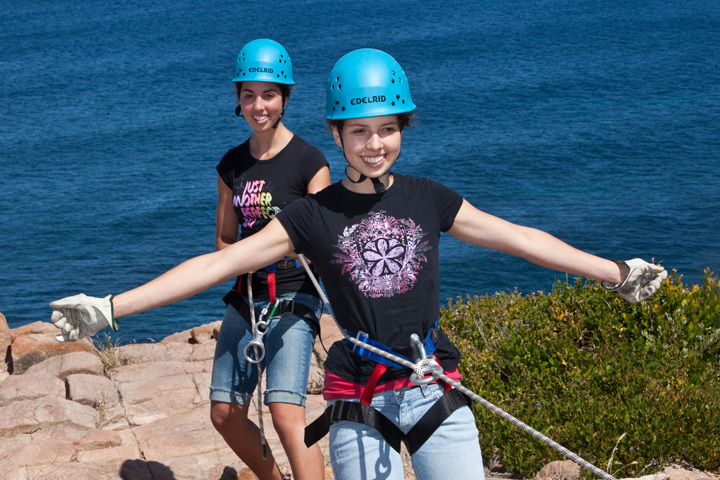 Abseiling and Rock Climbing are our most popular programs out at the Wilyabrup sea cliffs that are about 20 minutes north of Margaret River and 20 minutes south of Dunsborough. 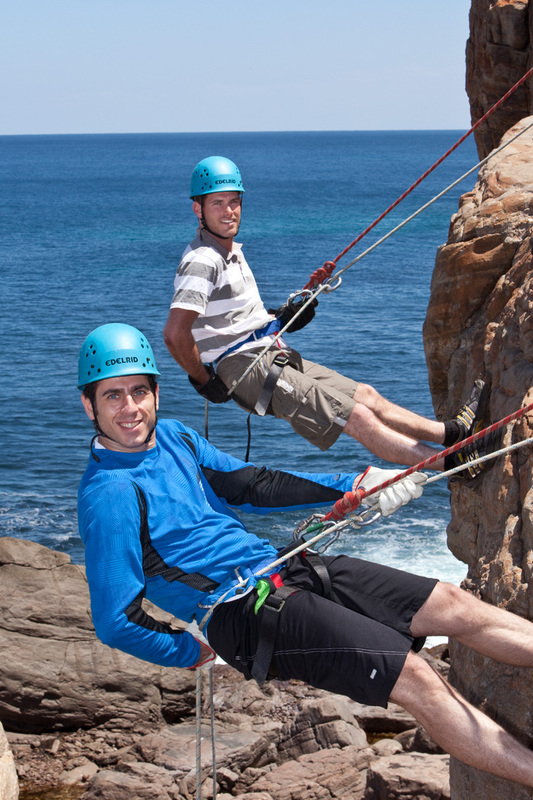 These spectacular cliffs rate as one of the premier abseiling and rock climbing sites in the South West. 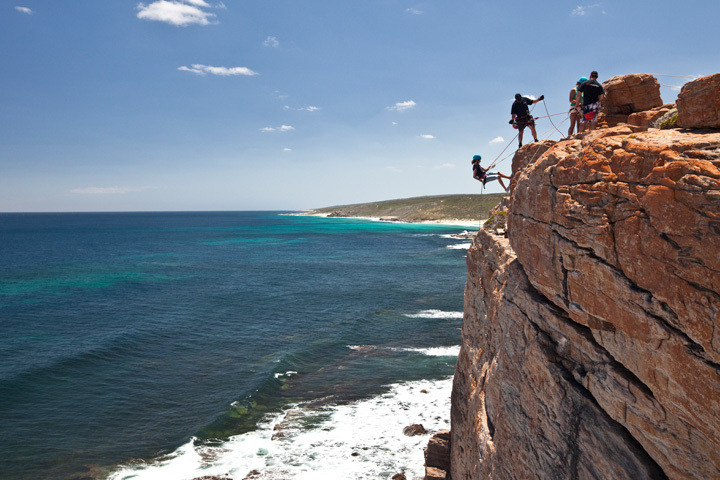 This is a special place that you will never forget! 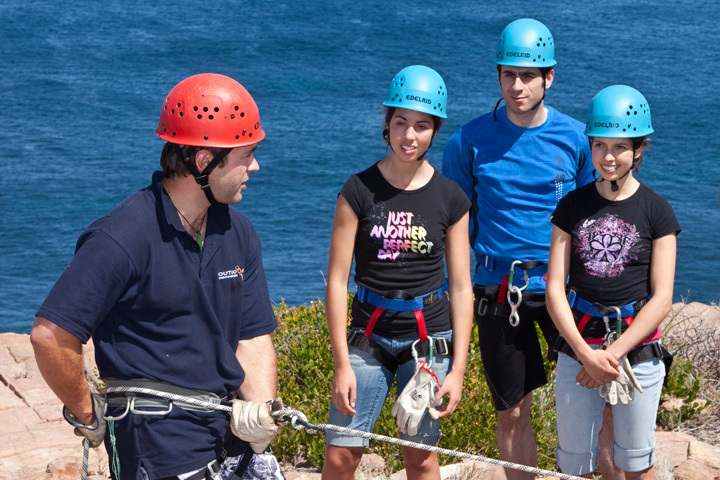 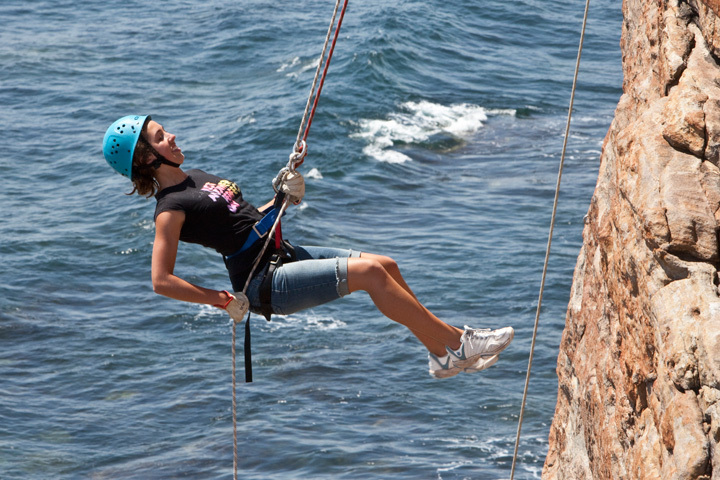 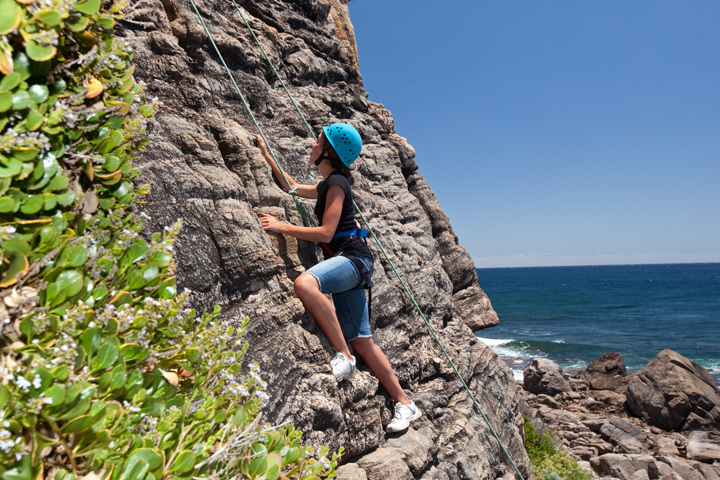 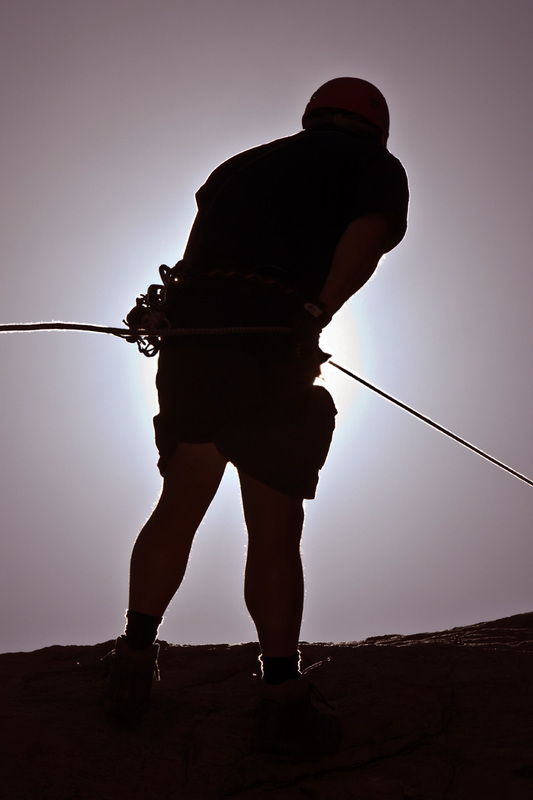 We will introduce you to the basic principles of abseiling including all safety aspects. 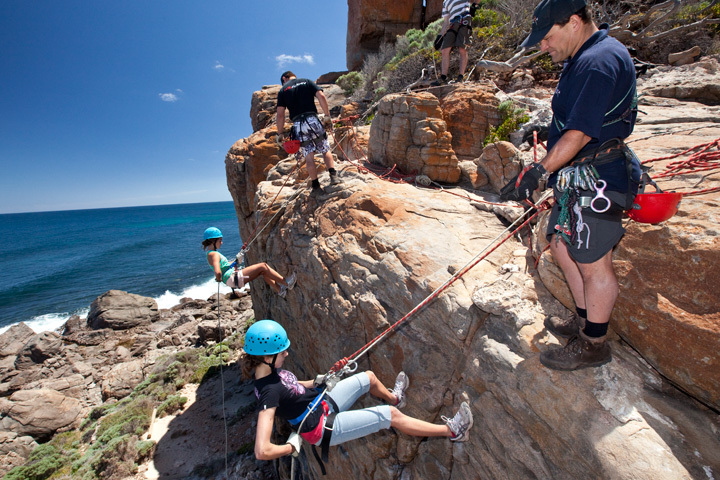 We start at small cliffs and as the group becomes more confident we move on to higher cliffs culminating in the 40 metre abseil at the Steel Wall. 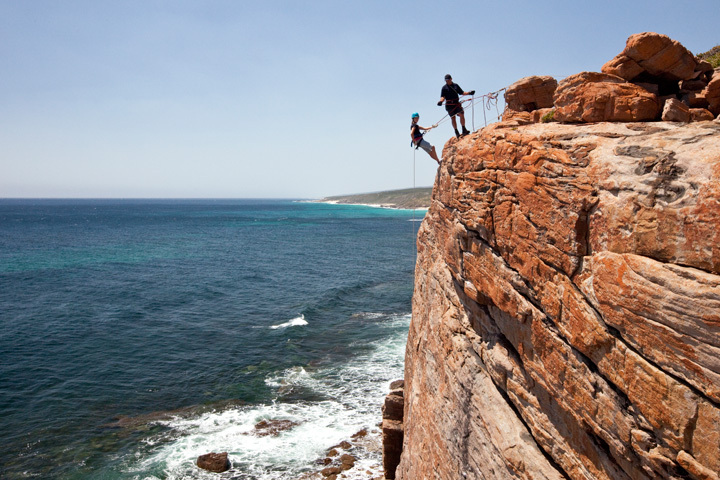 There is nothing quite like leaning back over the edge! 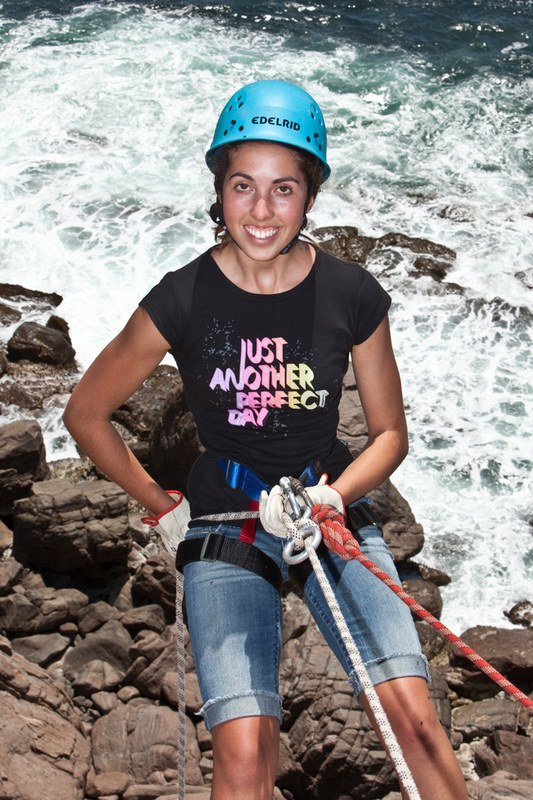 After spending the morning as above we have a quick lunch break. 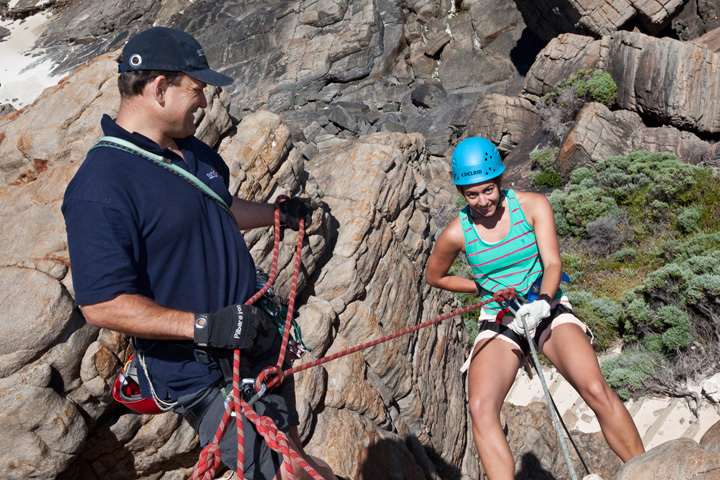 If you have enough courage to really take the challenge then try an introduction to rock climbing! 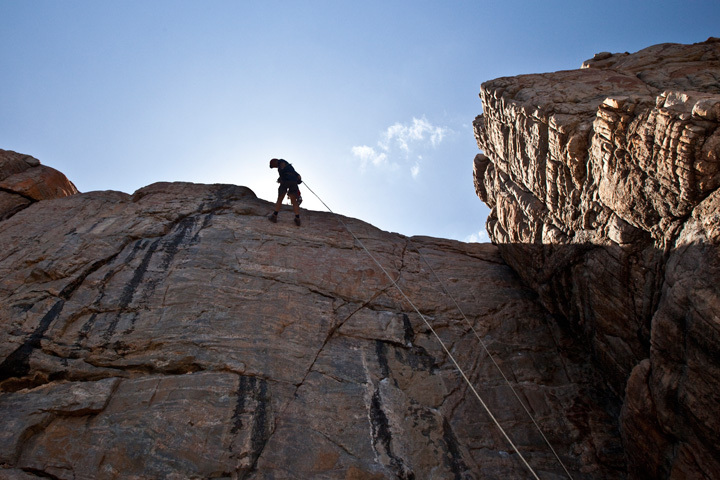 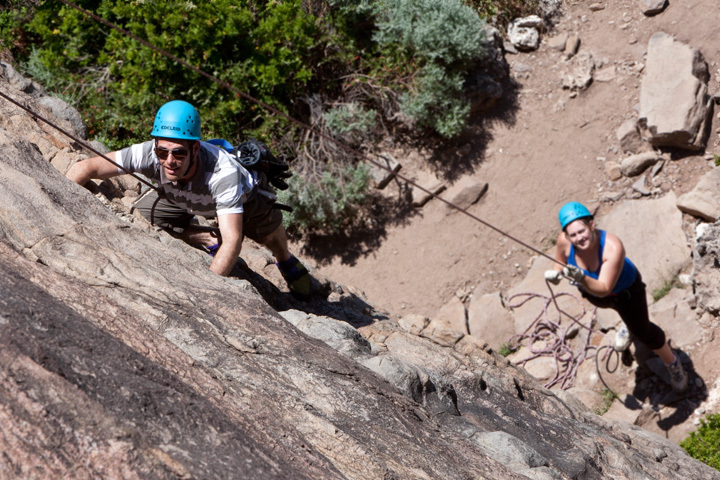 We believe that anyone can go rock climbing, is just picking the route that suits the climber.